This is one of the feature holes of the Course with a dog leg through the trees to the left. 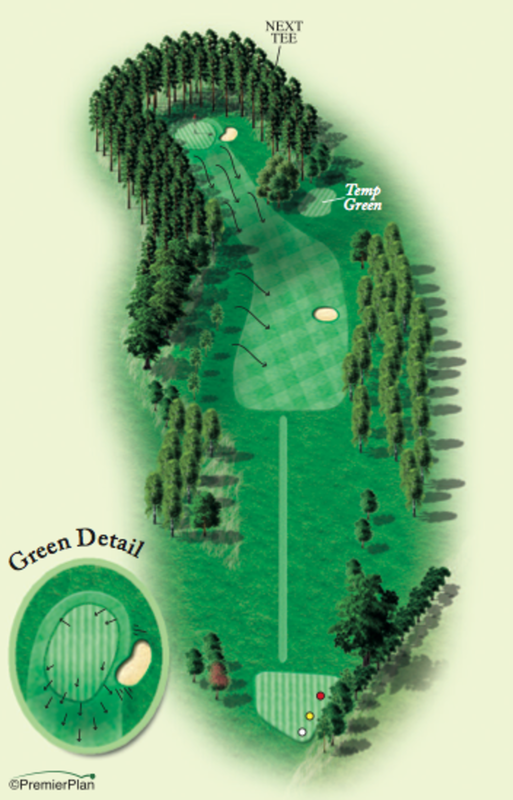 An accurate drive to the middle of the fairway will ensure a good position for the second shot to the green. However a bunker awaits on the right hand side of the fairway and therefore can easily negate any chance of reaching the green. Once again thoughtful club selection is important for the second shot to ensure accuracy to an uphill green. 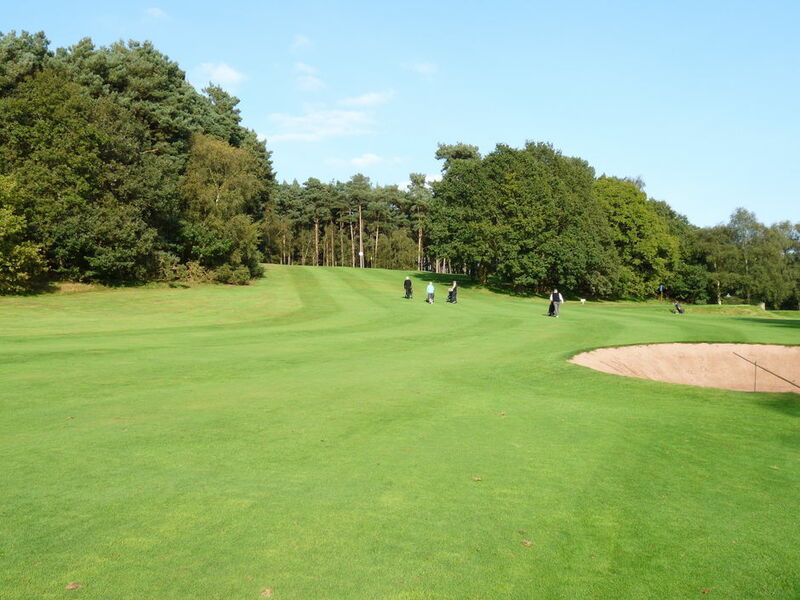 The green is situated within an arc of heavy woodland and a bunker is positioned on the front right side of the green.